If you think the current setup of your property isn’t doing you any favors, remodeling is the answer to your problem. By improving the aesthetic appeal and functionality of your bathroom or living room, your home environment feels more comfortable and welcoming. Though you can find many do-it-yourself remodeling guides online, nothing beats a professional’s touch. That’s why you should contact All American Cleaning & Restoration whenever you’re itching to remodel a room in your home. The fact that remodeling requires you to tear down walls makes it a difficult procedure to do alone. If you don’t have any experience or the right tools at hand, it’ll take you months to complete the project. It’s also possible that you’ll stop halfway and never return to it. By giving the task to All American Cleaning & Restoration, you have nothing to worry about because your home will be in good hands. Plus, our seasoned designers can translate your vision into a reality, allowing us to create your dream space as exactly as you imagined it. To fully accomplish any remodeling project, you need to have the right equipment. However, it’s highly unlikely that you have all the right power tools in your garage. Buying or renting them is a waste of time and money, especially when you’re only going to use them once. Our company has the necessary equipment needed to complete all kinds of remodeling requests. You won’t have to spend on items you don’t have and need. We don’t want to inconvenience you any further by making you wait longer. 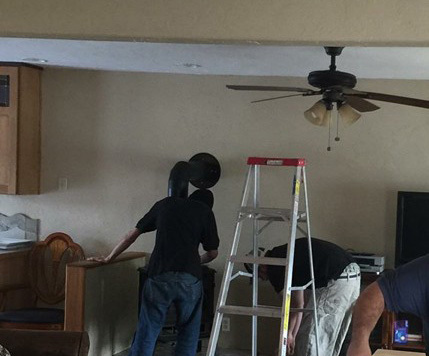 We know that you’re eager to see your new space, so we make sure that we finish every remodeling job on time. The moment our builders have cleared and packed up, the room will be primed and ready for use. When your bathroom, living room, or bedroom is in need of a dire change, give us a call at 866-707-8006 and our friendly operators will be more than happy to assist you. 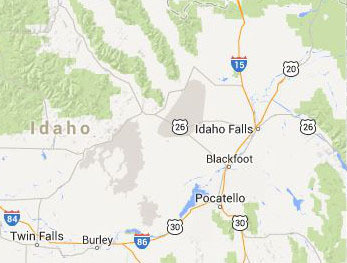 All of our company’s services are available to properties in southeast Idaho.